In 1993, Kevin emerged as a full fledged international TV star when he was cast as the lead role of Hercules in a series of TV films that laid the groundwork for the immensely popular TV series, Hercules: The Legendary Journeys. He played the muscle-bound, demi-god for 6 seasons, which became one of the highest rated syndicated TV shows in the world. He also guest-starred as Hercules in episodes of the successful spin-off series Xena: Warrior Princess and provided his voice to the animated Hercules films. In 1997, Kevin accepted his first leading film role in the fantasy action feature Kull the Conqueror. Along the way, he played characters in video games such as Mortal Kombat 4, God of War and The Conduit. Kevin also guest starred on the sitcom Two and a Half Men and played a recurring role on the final season of The O.C. In addition to his work onscreen, Kevin has also served as Executive Producer and star of the movie Abel's Field. He also played a role in Soul Surfer and played an atheist professor in the hit movie, God’s Not Dead. “I was drawn to the part,” says Kevin. The movie, which released in the box office in March 2014, did so well the first weekend that the movie went up in screens for 2 more weeks. With a $2 million budget, the movie made over $62 million. “The best way to get more family-oriented, faith-based movies is to support them at the box office,” says Kevin. That, he believes, is the best way to get Hollywood’s attention. Besides his successful career in entertainment, Kevin wrote, True Strength, his life story that recounts the painful recovery from serious health setbacks that changed him during his Hercules years. In addition to acting, Kevin devotes time to causes he believes in. In 2005 he was named successor to Arnold Schwarzenegger as the national spokesperson for The Afterschool Alliance, a nonprofit working to ensure that all children have access to quality after school programs. Since 1997, Kevin has donated his time as the spokesperson for the non-profit organization, A World Fit For Kids. Kevin was the co-producer on the Breathe Bible Audio New Testament project, which took over 1.5 years to complete. He partnered with Executive Director, Carl Amari, who eight years ago produced the award winning Word of Promise Audio Bible. 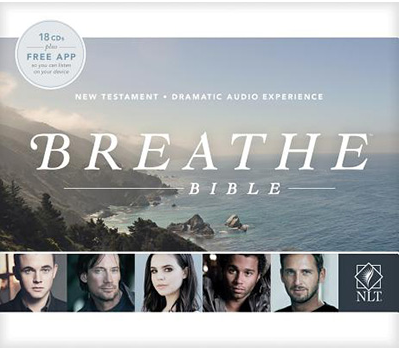 The Breathe Bible Audio New Testament is a listening experience that transports listeners into the world of the Bible. This $2 million production features a cast of leading Hollywood entertainers, over 80 supporting actors, a full-orchestral score, and cutting-edge sound design. Stars of stage and film such as Kevin Sorbo (Voice of God), Josh Lucas (Jesus), John Rhys-Davies (narrator), Jesse McCartney (Matthew), Hill Harper (Mark), Corbin Bleu (John), Christian Stolte (Luke), Marshall Allman (John the Baptist), Wintley Phipps (Peter), and Bailee Madison (Young Mary Mother of Jesus). There are 18 CDs included in this audio product as well as a code to receive the user friendly mobile app for free. Kevin grew up in a Christian home in Minnesota. His mother worked as a nurse and his father taught junior high school resulting in a down-to-earth upbringing that forged the outstanding work ethic Kevin holds to this day. When he was 13, he attended a Billy Graham crusade and responded to the altar call. “It was a very happy emotional night for me,” says Kevin. “And I always remembered it.” In college, Kevin majored in business but secretly wanted to be an actor. He was covering tuition costs with modeling work. He soon dropped out of the university and started his acting career in the late 80s with his first appearances on Prime Time shows such as Murder She Wrote and The Commish. He was turned down for the lead in two TV series but landed his huge break-out role as Hercules. While filming in 1997, he met Sam Jenkins, the leading lady. In their first scene, she made Kevin so nervous that he couldn’t remember his lines. Soon they started dating and later married. Today they have three children. 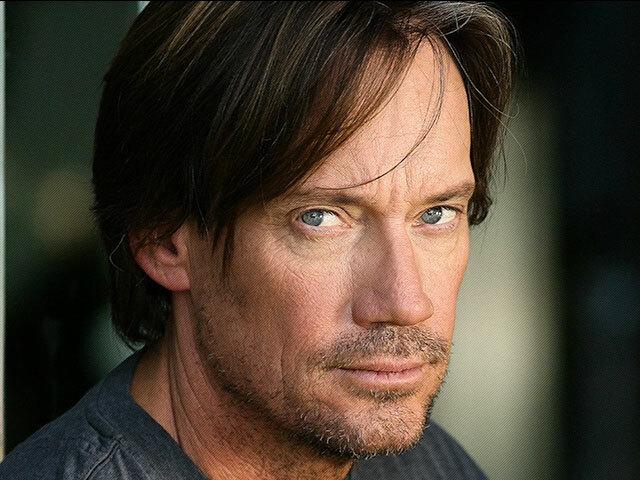 ACTING CAREER In 1993, Kevin emerged as a full fledged international TV star when he was cast as the lead role of Hercules in a series of TV films that laid the groundwork for the immensely popular TV series, Hercules: The Legendary Journeys. He played the muscle-bound, demi-god for 6 seasons, which became one of the highest rated syndicated TV shows in the world. The Breathe Bible Audio New Testament is a remarkably vivid listening experience that transports you into the world of the Bible. Performed in the New Living Translation by a cast of internationally acclaimed film, television, and recording artists, this captivating multi-million dollar audio production features cinema-quality sound with an original music score.